The leader of Pakistan’s Taliban, Baitullah Mehsud, has reportedly claimed Monday’s deadly assault on a police academy in Lahore. Yet among the region’s insurgents, some are sceptical of the claim. About Image: This is a natural color, 60 centimeter (2 foot) high-resolution QuickBird satellite image featuring the Musudan Ri missile launch facility, formerly known as Taepo-dong. About this Video: President Obama announced Monday that his Auto Task Force has completed its evaluation of General Motors and Chrysler, and gives his response. This is Tiger’s first win since coming back from knee surgery nine months ago. Thank you too Mr. Palmer for another GREAT Tournament. 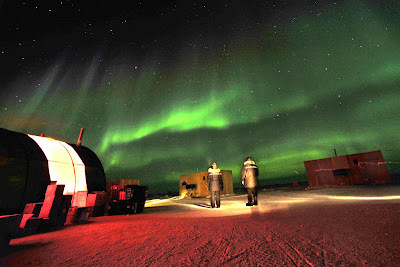 Personnel from the Applied Physics Lab Ice Station watch the aurora borealis light up the night sky over a temporary base camp set up on Arctic Ocean ice near Prudhoe Bay, Alaska, March 21, 2009. Two Los Angeles-class submarines, USS Helena and USS Annapolis, will participate in exercise Ice Exercise 2009, along with personnel from the Navy Arctic Submarine Laboratory and University of Washington Applied Physics Laboratory researchers. 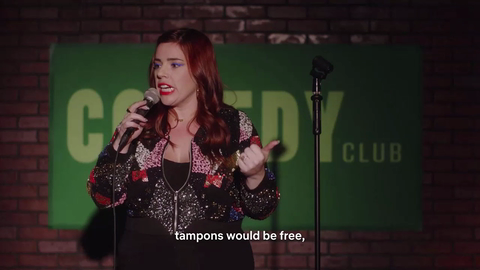 I was going to embed Today's Funny into this post but sadly it needs to come with some strong WARNINGS. Warning -- Above link goes to a VERY FUNNY Video clip that has curse words galore... I rate it MATURE!!! Space Shuttle Discovery rolled to a stop at Kennedy Space Center, Fla. completing its 13-day journey of more than 5.3 million miles in space. STS-119 was the 125th space shuttle mission, the 36th flight for Discovery and the 28th shuttle visit to the International Space Station. The astronauts on space shuttle Discovery are preparing to spend what is planned to be their final night in orbit, with wake up set for 5:13 a.m. EDT Saturday to ready for a 1:39 p.m. landing at NASA's Kennedy Space Center in Florida. Weather conditions are forecast to be acceptable for the shuttle's return home to Florida. Discovery's crew will go to sleep at 9:13 p.m. Following wake up on Saturday, they will begin deorbit preparations at 8:33 a.m. 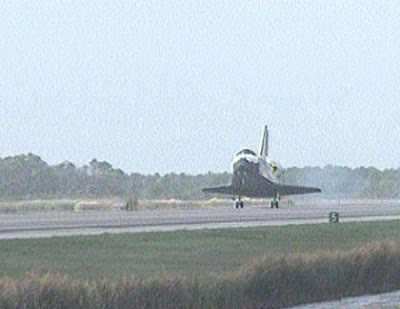 Discovery will fire its engines at 12:33 p.m. to begin the descent to Florida. A second opportunity is available if needed for Discovery to land at Kennedy on Saturday, beginning with a deorbit burn engine firing at 2:08 p.m. leading to a 3:14 p.m. touchdown. Discovery’s crew of seven is preparing for a 1:39 p.m. EDT landing today at NASA's Kennedy Space Center in Florida. The crew was awakened this morning at 5:13 a.m. to the song “I Have a Dream” performed by ABBA. The song was played for Mission Specialist Sandra Magnus. Flight controllers reported to the space shuttle crew that weather conditions are forecast to be acceptable for their return home and that they could begin deorbit preparations. Discovery will fire its engines at 12:33 p.m. to begin the descent to Florida on a northeasterly track that will cross over Central America and Cuba. The weather forecast is "no go" today for the first landing opportunity at Kennedy Space Center in Florida. The next Kennedy landing opportunity is at 3:14 p.m. EDT, with a deorbit burn of 2:08 p.m. Discovery GO for DEORBIT BURN!!! Lt. Florence B. Choe, 35, of El Cajon, Calif.
Lt. j.g. Francis L. Toner IV, 26, of Narragansett, R.I. Both died March 27th when an insurgent posing as an Afghan National Army soldier opened fire on personnel assigned to Combined Security Transition Command - Afghanistan at Camp Shaheen, Mazar-E-Sharif, Afghanistan. President Obama unveiled from the White House today a new comprehensive strategy to defeat Al Qaeda and ensure stability in Afghanistan and Pakistan which in part includes sending an additional four-thousand U.S. troops to Afghanistan. Staff Sgt. Raphael A. Futrell, 26, of Anderson, S.C., died March 25th in Baghdad, Iraq, of injuries sustained from a non-combat related incident. He was assigned to the 13th Military Police Detachment, 728th Military Police Battalion, 8th Military Police Brigade, 8th Theater Sustainment Command, Fort Shafter, Hawaii. The incident is under investigation. 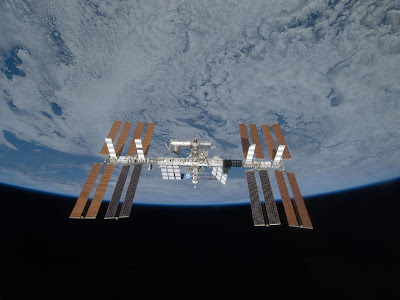 Image above: Backdropped by the blackness of space and Earth's horizon, the International Space Station is seen from Space Shuttle Discovery as the two spacecraft begin their relative separation… Undocking of the two spacecraft occurred at 2:53 p.m. CDT on March 25, 2009. 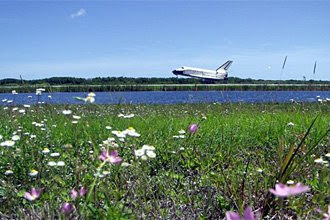 STS-119 Discovery is scheduled for landing at 1:43pm EDT this coming Saturday, March 28th at Kennedy Space Center, FL. I’ll be posting on the rest of the mission and landing too so check back!!! .The energy challenges our country faces are severe and have gone unaddressed for far too long. [Gone Unaddressed!!! That is a right-out LIE! President Bush and the Republicans in Congress, time and time again have tried to push through legislation that would have had us OFF of Foreign Oil for several years now. BUT NO… God forbid we do something stupid like DRILL for our own Oil and Natural Gas!] Our addiction to foreign oil doesn't just undermine our national security and wreak havoc on our environment -- it cripples our economy and strains the budgets of working families all across America. 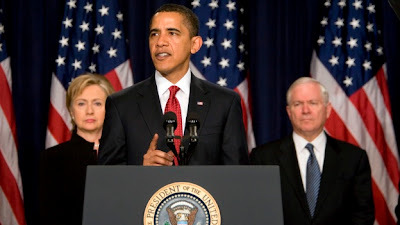 President Obama and Vice President Biden have a comprehensive plan to invest in alternative and renewable energy, end our addiction to foreign oil, address the global climate crisis and create millions of new jobs. * Within 10 years save more oil than we currently import from the Middle East and Venezuela combined. * Put 1 million Plug-In Hybrid cars -- cars that can get up to 150 miles per gallon -- on the road by 2015, cars that we will work to make sure are built here in America. * Implement an economy-wide cap-and-trade program to reduce greenhouse gas emissions 80 percent by 2050. * Crack Down on Excessive Energy Speculation. * Swap Oil from the Strategic Petroleum Reserve to Cut Prices. * Increase Fuel Economy Standards. * Get 1 Million Plug-In Hybrid Cars on the Road by 2015. * Create a New $7,000 Tax Credit for Purchasing Advanced Vehicles. * Establish a National Low Carbon Fuel Standard. * A “Use it or Lose It” Approach to Existing Oil and Gas Leases. * Promote the Responsible Domestic Production of Oil and Natural Gas. * Deploy the Cheapest, Cleanest, Fastest Energy Source - Energy Efficiency. 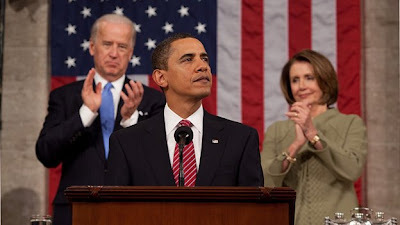 The Obama Plan is in all a Plan most ALL Americans wish to achieve in the years to come. But our Energy needs, until then, have to be answered NOW and we have but TWO Choices. 2) Start Drilling and using our own Natural Resources while we let the Obama Plan have time to work itself out. My vote is number TWO!!! 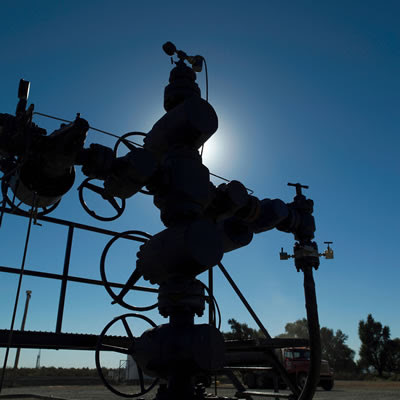 We in Louisiana have long known of the economic benefits of oil and gas exploration and production. It creates jobs, provides revenues to the state and local governments and helps bring family energy bills down as the supply of energy on the market increases. I recently led a group of committed Senate and House members in introducing a bill that would increase our domestic energy production and in the process save or create two million jobs and help bring real relief to family budgets across America… all without costing the taxpayers more of their hard-earned money. It is called the No Cost Stimulus Act of 2009, and it was introduced with support from the U.S. Chamber of Commerce, National Black Chamber of Commerce, National Association of Manufacturers, Americans for Tax Reform and Alliance for Worker Freedom. The bill forces the Secretary of the Interior to move forward with offshore leases rather than continuing to block energy development off the East and West Coasts. It would also open ANWR for oil and gas development and use the revenues derived from production to support alternative and renewable energy. The No Cost Stimulus bill also reconciles outstanding environmental law issues that have been used to slow production and development by continually tying up projects in lawsuits that prevent job creation. And it extends state boundaries so states have more say in what happens off their coasts, providing them with a tool for greater energy production opportunities and creating new opportunities for individual states to increase their own revenues without asking the federal government to bail them out. We can create more jobs in Louisiana and throughout the country by simply harnessing our natural resources and increasing our energy production… and we can achieve this goal without increasing our debt or raising taxes on Louisiana families. Sgt. Jose R. Escobedo Jr., 32, of Albuquerque, N.M., died March 20th in Baghdad, of injuries sustained from a non-combat related incident the night before at Forward Operating Base Kalsu in Iskandariyah, Iraq. He was assigned to the 1st Battalion, 77th Field Artillery Regiment in Schweinfurt, Germany. The circumstances surrounding the incident are under investigation. 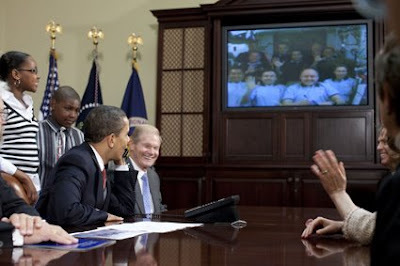 Earlier today, all the crew members aboard Space Shuttle Discovery and the International Space Station gathered in the Station's Harmony Module and spoke to the President Obama, members of Congress and students. Later, they had a Q & A session… answering questions from reporters during a joint Crew News Conference. Both died March 22nd while supporting combat operations in Helmand province, Afghanistan. They were assigned to 3rd Battalion, 8th Marine Regiment, 2nd Marine Division, II Marine Expeditionary Force, Camp Lejeune, N.C.
For additional background information on these Marines, news media representatives may contact the 2nd Marine Division public affairs office at (910) 450-6575. In preparation for Monday's spacewalk, STS-119 mission specialists Joseph Acaba and Richard Arnold reviewed spacewalk procedures at 7:13 p.m. EDT and will "camp out" overnight in the Quest Airlock beginning at 9:08 p.m. The station crew goes to sleep at 10:13 p.m. followed by the shuttle crew at 10:43 p.m.
Today's wakeup music was "Ain't Nobody Here but Us Chickens" by Louis Jordan played for Discovery astronaut Steve Swanson at 6:43 a.m. EDT, suggested by his children. Astronauts aboard Discovery begin the mission's third spacewalk at 11:43am EDT. 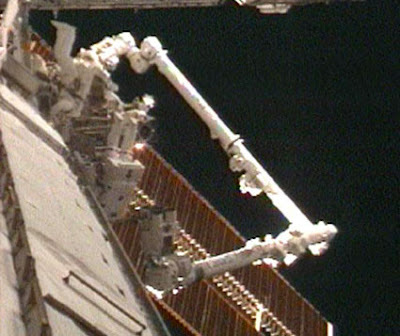 During the 6.5 hour excursion, Joseph Acaba and Richard Arnold will relocate a cart that moves along the rails of the station's truss, attempt again to deploy the unpressurized cargo carrier attachment system, install a similar attachment system on the starboard side, lubricate the space station arm's end effector and reconfigure some cables that power the station's gyroscopes. About image: Mission Specialists Richard Arnold and Joseph Acaba work outside the International Space Station during the mission's third spacewalk. Astronauts Joseph Acaba and Richard Arnold ended the mission's third spacewalk at 6:04 p.m. EDT. They helped robotic arm operators relocate the Crew Equipment Translation Aid (CETA) cart from the Port 1 to Starboard 1 truss segment, installed a new coupler on the CETA cart, lubricated snares on the "B" end of the space station's robotic arm and performed a few "get ahead" tasks. They were unable to deploy the Port 3 unpressurized cargo carrier attachment system (UCCAS) and tied it safely in place while engineers evaluate the problem. Because the issue is not yet understood, Mission Control cancelled the installation of a similar payload attachment system on the starboard side. Today's spacewalk lasted six hours, 27 minutes. It was the second spacewalk for both Acaba and Arnold and the 123rd spacewalk in support of station assembly and maintenance, totaling 775 hours. The three STS-119 spacewalks totaled 19 hours, 4 minutes. Steve Swanson has performed four spacewalks totaling 26 hours, 22 minutes. Acaba has two spacewalks totaling 12 hours, 57 minutes. Arnold has two spacewalks totaling 12 hours, 34 minutes. Lance Cpl. Daniel J. Geary, 22, of Rome, N.Y., died March 20th while supporting combat operations in Farah province, Afghanistan. He was assigned to the 3rd Battalion, 8th Marine Regiment, 2nd Marine Division, II Marine Expeditionary Force, Camp Lejeune, N.C.
For additional background information on this Marine, news media representatives may contact the 2nd Marine Division public affairs office at (910) 450-6575. Pfc. Adam J. Hardt, 19, of Avondale, Ariz., died March 22nd, at Forward Operating Base Airborne in Wardak Province, of injuries suffered from a non-combat related incident. He was assigned to the 2nd Battalion, 87th Infantry Regiment, 3rd Brigade Combat Team, 10th Mountain Division (Light Infantry), Fort Drum, N.Y. The circumstances surrounding the incident are under investigation. 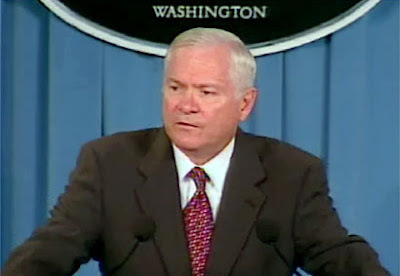 * The New York Times had this article posted on their website today and it starts off like this… The United States must look for a way out of the war in Afghanistan, President Obama said, in a signal that the military build-up in Afghanistan will not be open-ended and will lead to the eventual withdrawal of American and NATO troops from the country. U.S. Army Staff Sgt. 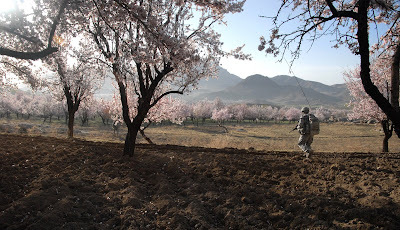 Danieto Bacchus, right, participates in a dismounted patrol mission near Forward Operating Base Baylough, Zabul province, Afghanistan, March 19, 2009. Bacchus is assigned to Company B, 1st Battalion, 4th Infantry Regiment. Today's wakeup music was "In a Little While" by the group Pilgrim and Trout played for Discovery astronaut Richard Arnold at 7:43 a.m. EDT. Astronauts Steve Swanson and Joseph Acaba will begin the mission's second spacewalk at 12:43pm EDT. They will prepare a workstation on the Port 6 (P6) truss for later removal and replacement of P6 batteries by the STS-127 crew. The spacewalkers also will prepare a couple of cargo attachment systems for storing equipment and supplies on the outside of the space station, install a GPS antenna on the Japanese segment that will help guide the HTV resupply vehicle later this year, snap photos of a radiator truss whose corner has curled up and reconfigure a patch panel on the station's truss. Mission’s Second Spacewalk to begin today just before NOON, CDT. Astronauts Steve Swanson and Joseph Acaba ended the mission's second spacewalk at 7:21 p.m. EDT. They prepared a worksite so that the STS-127 spacewalkers can more easily change out the Port 6 truss batteries later this year. On the Japanese Kibo laboratory they installed a second Global Positioning Satellite antenna that will be used for the planned rendezvous of the Japanese HTV cargo ship in September. They photographed areas of radiator panels extended from the Port 1 and Starboard 1 trusses and reconfigured connectors at a patch panel on the Zenith 1 truss that power Control Moment Gyroscopes. After struggling with a balky pin that kept an unpressurized cargo carrier attachment system (UCCAS) from fully deploying, they tied UCCAS safely in place. Engineers will evaluate the issue. Today's spacewalk lasted six hours, 30 minutes. 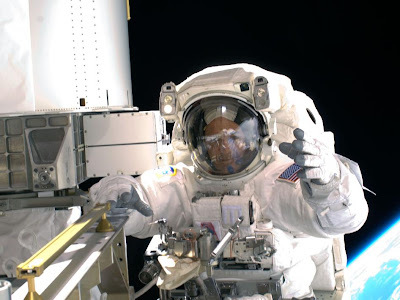 It was Swanson's fourth spacewalk and Acaba's first, and the 122nd spacewalk in support of station assembly and maintenance, totaling 768 hours, 33 minutes. NASA Television will carry a news briefing at 8 p.m. with STS-119 Lead Space Station Flight Director Kwatsi Alibaruho and STS-119 Lead Extravehicular Activity Officer Glenda Laws-Brown. Today's wakeup music was "Alive Again" by Chicago played for space shuttle Discovery Commander Lee Archambault at 7:14 a.m. EDT. Astronauts aboard Discovery will enjoy some off duty time beginning at 10:18 a.m. before participating in a media interview and planning for Monday's third spacewalk. At 6:12 p.m., Discovery Commander Lee Archambault, Pilot Tony Antonelli, Mission Specialists Joseph Acaba, John Phillips and Sandra Magnus and International Space Station Flight Engineer Koichi Wakata will talk to reporters from CNN Espanol, CBS and WOFL-TV in Orlando, Florida. At 7:13 p.m., Acaba and Richard Arnold will review Monday's spacewalk procedures and at 9:09 p.m. they will camp out in the Quest airlock. I’ll be posting on Mission & final Spacewalk over the next few days so check back!! !